With seven years experience in high-stakes and high-complexity legal matters, Amanda Driscoll is passionate about the potential of independent investigations to give all parties a voice, and open up opportunities for organizational self-discovery. She is a deft navigator of politically delicate or pressurized organizations, a diligent and impartial investigator, and a strong advocate for bringing clarity, concision and accessibility to investigative reports. At Rubin Thomlinson, Amanda conducts a diverse range of workplace investigations, including complaints of sexual harassment, workplace violence, bullying, and more. She is also available to help organizations proactively identify and manage internal issues through workplace assessments and reviews. Amanda also provides workplace investigation and human rights training to staff at all levels. 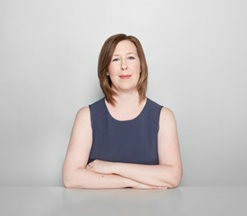 Before joining Rubin Thomlinson, Amanda cut her teeth in investigations as an Investigator for the Ontario Ombudsman — successfully fielding weighty (and often contentious) independent investigations into publicly funded school boards, universities and colleges, municipalities, and provincial government agencies and ministries. During her tenure there, she became especially well-versed in investigations with formidable complicating factors: from intense public scrutiny to group complaints to the interplay between multiple organizations/agencies. Amanda also served Aboriginal Legal Services for over six years, developing a deep insight into administrative law, poverty law, public interest litigation, and human rights issues. There, she specialized in legally complex cases and complaints, including racial discrimination. She also provided public legal education and performed advocacy work on behalf of her clients. Amanda appeared as co-counsel in: R. v. Ipeelee,  1 SCR 433, R. v. Brooks, 2012 ONCA 703 and McKay v. Toronto Police Services Board, 2011 HRTO 499.